Suzie Brown founded Avista Mindfulness in 2010 after training with Openground to teach Jon Kabat-Zinn's internationally renowned Mindfulness Based Stress Reduction (MBSR) program. 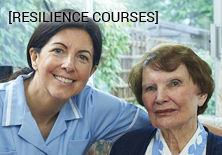 She is also trained in Acceptance and Commitment Therapy (ACT). Suzie created Avista Mindfulness to offer others the meditation and life skills she has found so beneficial in her own life. Suzie is co-founder of the Melbourne Insight Meditation Group which runs weekly meditation sessions plus regular workshops and retreats in the Western Buddhist tradition. 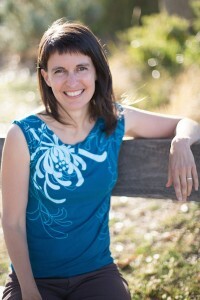 Suzie has taught Mindfulness to medical students at Monash University with Dr. Craig Hassed. She also taught meditation and yoga and managed workshops and Bali retreats at Dassanayaka Yoga Centre in Northcote, Melbourne. Her personal meditation practice has been influenced by various yoga and meditation traditions over the last 20 years, but is now primarily based within the western Insight Meditation tradition. Suzie has also been a facilitator, trainer and educator for over a decade in the areas of environmental sustainability and organizational strategy, running her own consulting business for the last 8 years. With many years working in strategy and facilitation, Suzie brings this experience to the public and workplace programs in the Melbourne and Geelong regions. She is a mother of her young daughter Lila which has inspired her to develop and offer the new Mindfulness for Parents courses, workshops and online program. 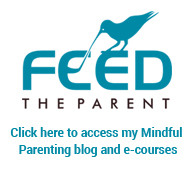 Her mindful parenting blog and e-course site is called Feed the Parent.